Alternative toolbar plugin released a new bug-fix version today with the latest Rhythmbox music player 3.4.3 compatibility. 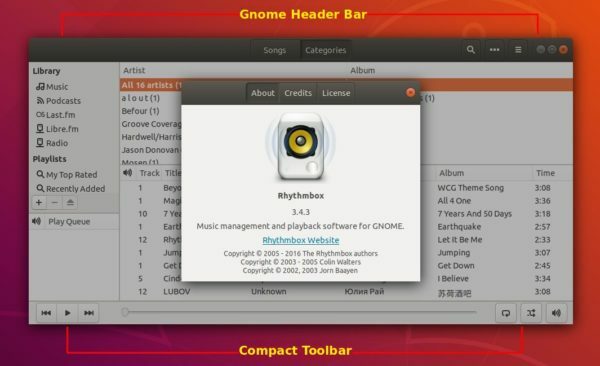 Alternative toolbar is a third-party plugin for Rhythmbox. It replaces the default header bar with Gnome-style client-side decoration. And the standard toolbar replaced by a compact toolbar. The plugin is installed in Ubuntu 18.04 and higher out-of-the-box. However, it does not work well in the most recent Rhythmbox 3.4.3 release. Type user password (no asterisks feedback) when it asks and hit Enter to continue. 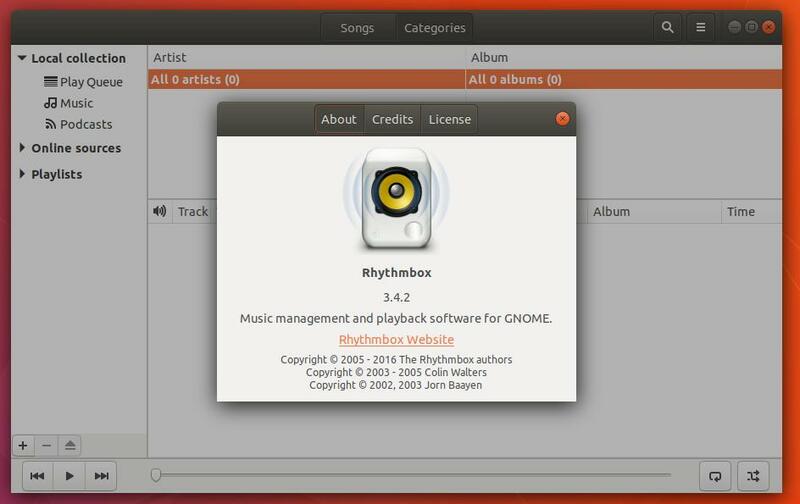 The default Rhythmbox music player released version 3.4.3 a few days ago. Here’s how to install it in Ubuntu 18.04. 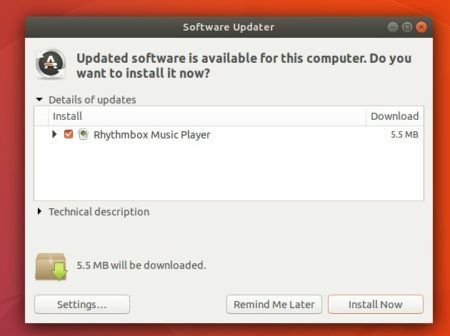 For Ubuntu 18.04, Ubuntu 18.10 and derivatives, you can install Rhythmbox 3.4.3 from the unofficial PPA. 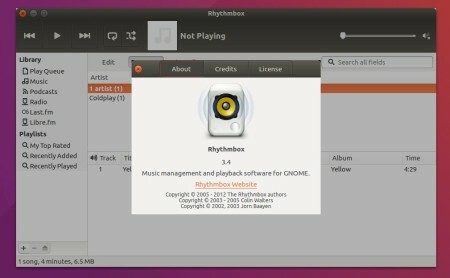 Gnome’s default music player, Rhythmbox, has reached the 3.4 release. It has been made into the universe repository (to be default) for Ubuntu 16.10 Yakkety. 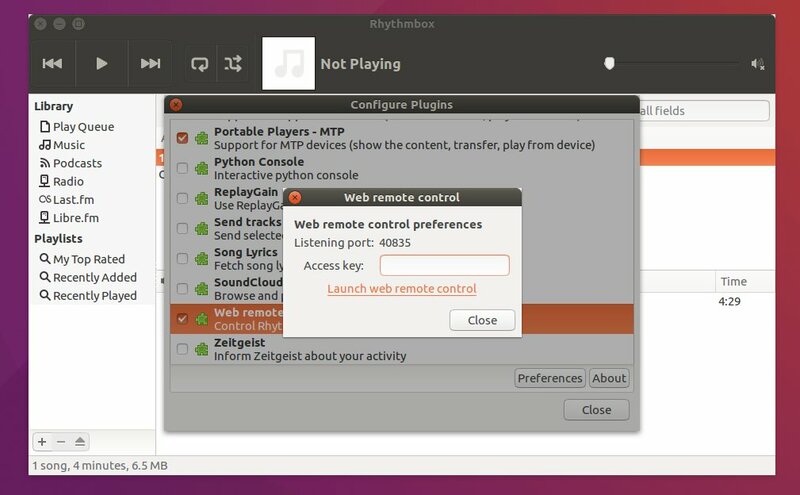 Rhythmbox 3.4 comes with a new remote web control plugin, allows users to control the basic music playback remotely via a web browser. Memory leak and plugin fixes, translation updates, etc. See more in NEWS page. 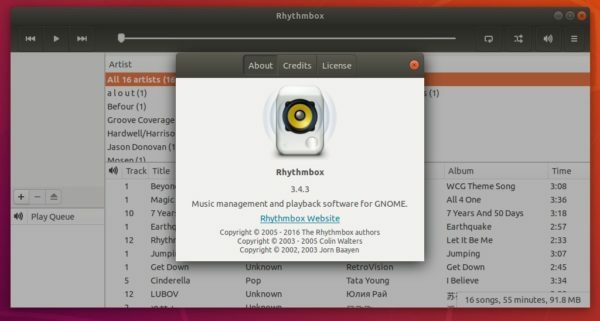 Besides building the new release from source, you can install Rhythmbox 3.4 in Ubuntu Gnome 16.04 via a third-party PPA repository. DO NOT use apt upgrade, because the PPA also contains GTK 3.20 backports you may not want. Rhythmbox, Gnome’s default music player, has reached the 3.3.1 release with a few improvements, bug fixes, and translation updates. Rhythmbox crashes when trying to access Android device. 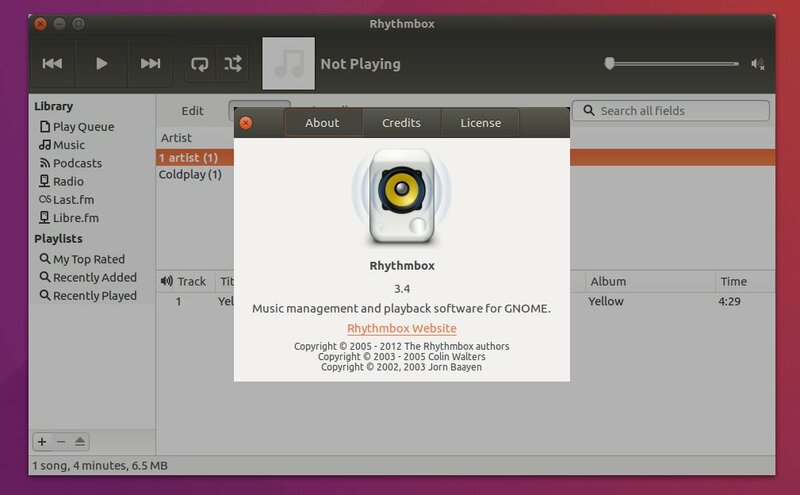 Besides building from the source, fossfreedom is maintaining a PPA to make it easy to install the latest Rhythmbox music player for all current Ubuntu releases. Check out the PPA page before doing following steps since there may be a small delay for the latest packages to be made into PPA.